It’s hard to explain what I mean by hopeful vibes, but I find this kind of vibe quite common in J-pop songs. It’s a track that’s not a ballad and is somewhat upbeat, while the way the lyrics are sung is hopeful but has a sad undertone as if it were a ballad. Other upbeat tracks usually have a happier vibe compared to the ones I’ll be talking about. Below, I’ve listed a few examples from my favorite J-pop groups and artists. Sadly, Dream5 disbanded back in December 2016 but this was definitely one of my favorite tracks from them. The music video is very simple with the black and white filter along with all the cameras and flash. The lyrics have a lot of self-motivational lines such as “Try listening to your true self once again…It breaks through the shell that’s been covering it up, break out!” What’s awesome about this group is that it includes two group type qualities found in J-pop — it’s both a co-ed group and a vocal dance group (meaning members who are vocalists and members who are just performers). Personally, this is my favorite single so far out of all the newer singles under E-girls’ new lineup. Many considered this song as Contrail’s little cousin, a song by Amuro Namie, mainly because of the way the song was composed. They have similarities in both the chorus and the bridge. 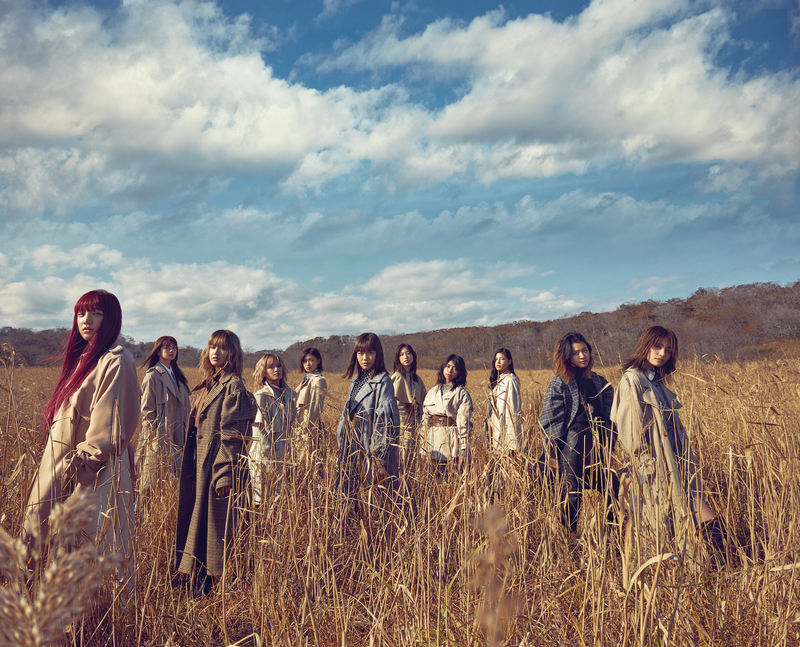 The scenery is visually stunning and it’s one of the first MVs E-girls that was set in nature. This song makes me feel nostalgic, even though it’s not a very old song. Sadly, this is another group that will disband by the end of March. The lyrics are pretty cute — it’s all about friendships and girl power. The song doesn’t have a music video because it was just a summer promotional track, released with Delightful Days and You You You. I think the best part of this song are the verses sang back and forth between Lana and Maaya, who are both the main vocalists in the group. Lana’s high notes and Maaya’s deep vocals really make the song great. SKY-HI is probably my favorite J-rapper mainly due to how multi-talented he is — he composes his own music as well as writes his own lyrics (which he also does for AAA tracks, the co-ed group he’s in). In Seaside Bound, there is a story-line being told, which I didn’t fully understand until I read the lyrics. It seems to be about two lovers who went to the seaside in secret, but obviously, something happened, such as the high tide, to her that caused her to pass away. The music video itself was done beautifully; I loved the location they chose as well as the color scheme. Although I have way more examples of this, these were my 5 favorites. Let me know if you know a song that’s similar to this style down in the comment section!